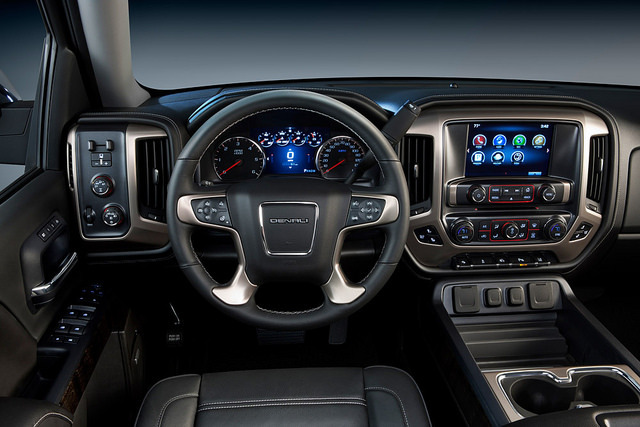 The GMC Sierra Denali interior adds luxury into the pick-up truck segment. The GMC Sierra Denali interior has always been impressive. Its premium materials, prominent use of technology, attention to detail, and purposeful design make it an enjoyable ride. WardsAuto has recently recognized the Denali’s outstanding interior design by naming it one of Ward’s 10 Best Interiors of 2014. The Denali is a bold, powerful, and refined truck that is a step ahead of any of its competitors. The Denali redefines the way we think about luxury in a pickup truck. Say goodbye to the pickup truck stereotype – simple, basic features are becoming a thing of the past as customers expect all the technology, rich materials, and comfort of a luxury car. WardsAuto editors evaluated over 40 vehicles over a two month period, assessing the interiors using a standard score sheet during routine commutes in and around metro Detroit. 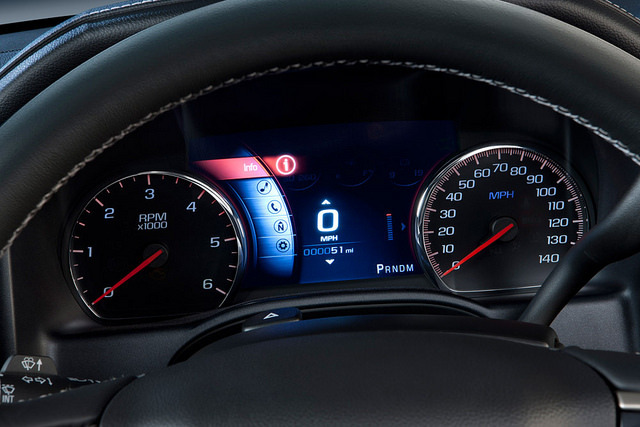 The a GMC Sierra Denali interior is decked out with technology including this 8-inch reconfigurable instrumentation cluster. The Denali boasts features such as an eight-inch Customizable Driver Display, leather seats with dual-density seat foam, 12-way power-adjustable bucket seats that include heat and cooling functions, five standard USB ports, 12V and 110V outlets, Color Touch navigation radio with IntelliLink, and much more. The GMC Sierra Denali is in a league all its own, changing the way we think about pickup trucks and luxury.